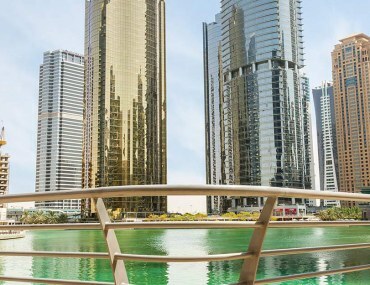 6 Amazing Public Libraries in Abu Dhabi You Should Visit! One of the best resources a city can have is a public library! Luckily, there are quite a few public libraries in Abu Dhabi, managed by the Department of Culture and Tourism. 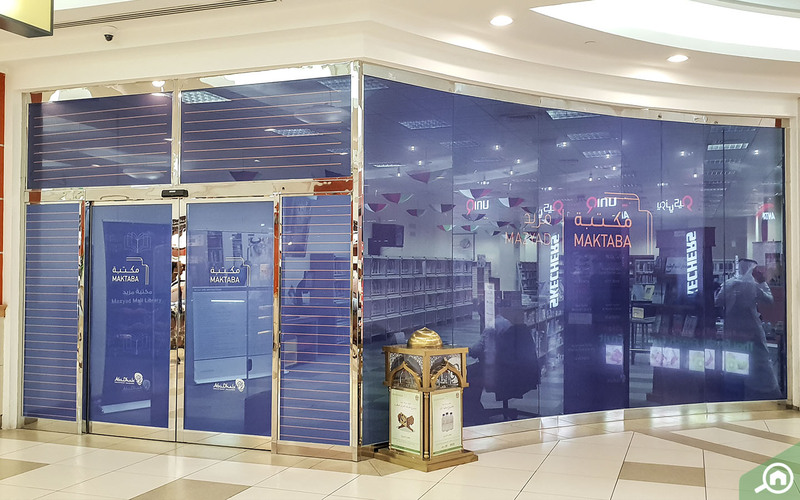 These Abu Dhabi public libraries are well-stocked with titles in Arabic and English, cater to children, adults and academic purposes. Large, bright and attractive, these public libraries also have a host of other facilities including reading corners, bookstores, special programmes and even a theatre! 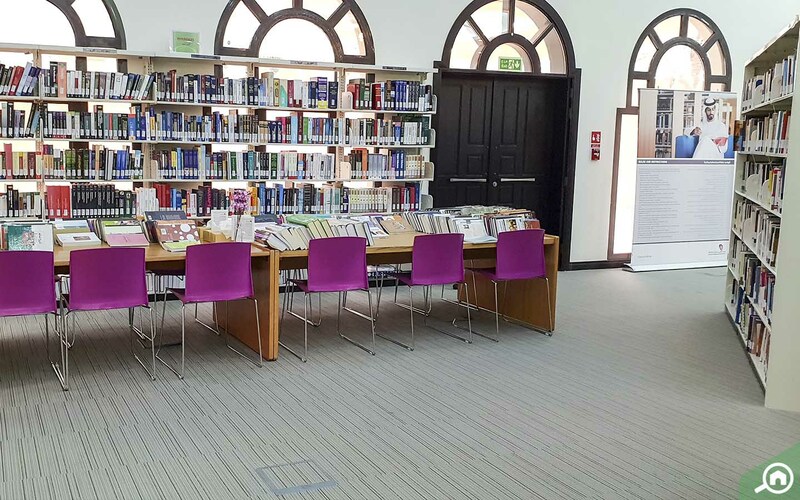 Read on to find out Bayut’s list of public libraries in Abu Dhabi city – and how to get a membership at the national libraries! How can we start with any other library than Khalifa Park Library? Set amongst lush greenery, Khalifa Park Library is perhaps the biggest library in Abu Dhabi. 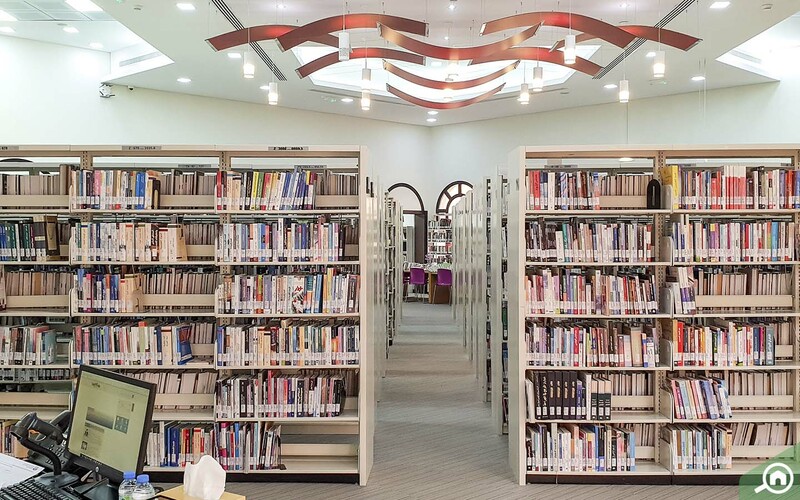 This public library in Abu Dhabi is home to over 50,000 titles, with both general and specialised books. It also has a dedicated Children’s Library section, which contains an impressive 10,000 books to foster their mind and imagination! Other interesting sections of this library include the Rare Books Hall and the Emirates and Gulf Books Collection. 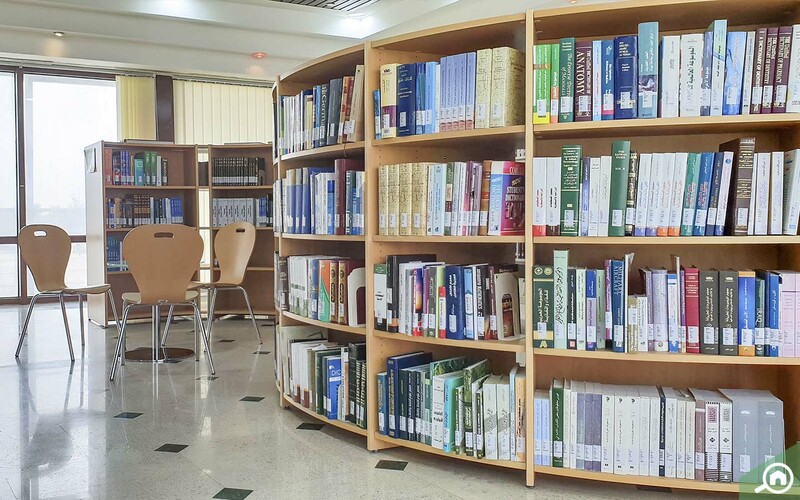 You’ll find periodicals, scientific journals and collections on a range of academic topics. 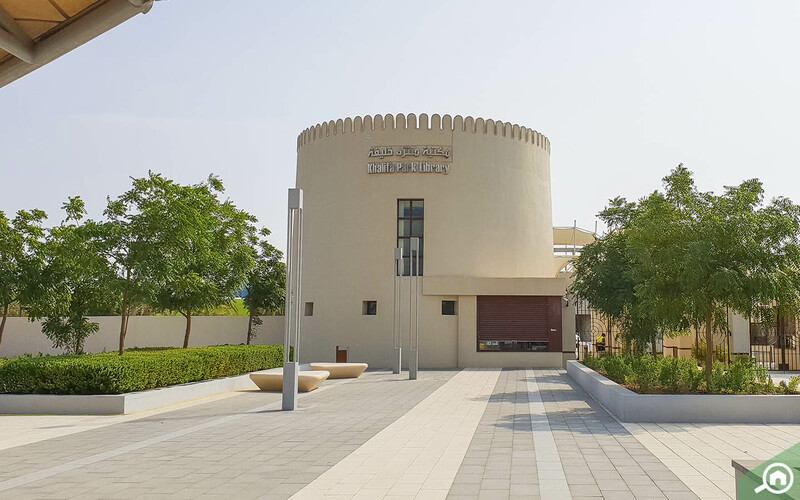 Khalifa Park Library also hosts numerous events including book signings, art displays, storytelling sessions and events marking occasions around the UAE. 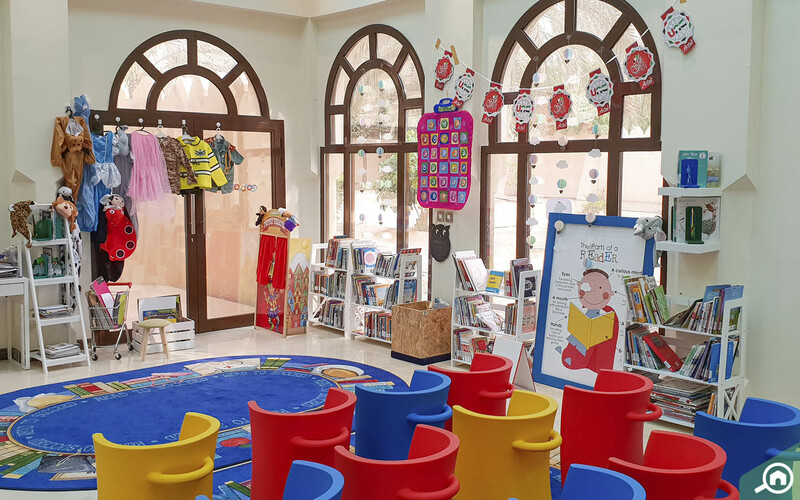 This public library in Abu Dhabi is popular with the younger bookworms! 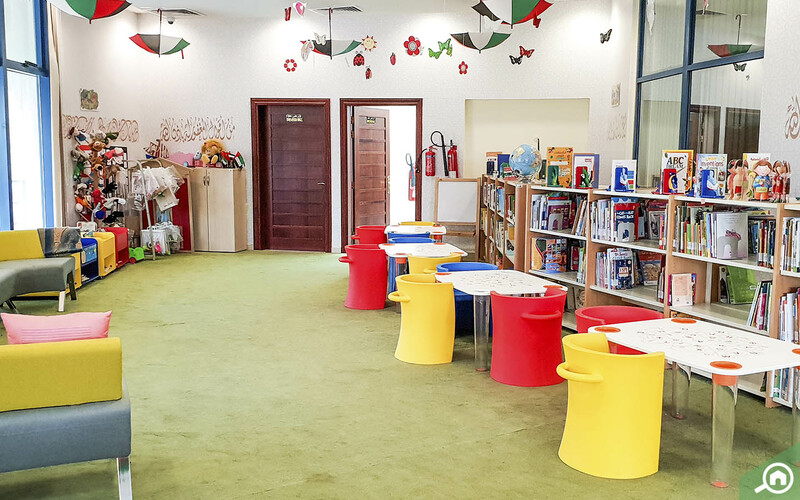 Al Bahia Park Library is located at the edge of a vibrant park. 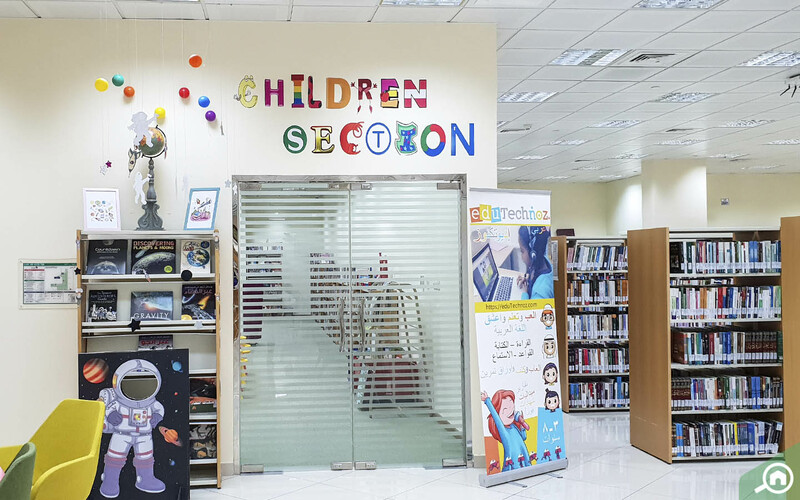 With 25,000 books on offer, this is one of the best public libraries in Abu Dhabi for children and young adults. The children’s library here is a great draw for residents around the city. Aside from an extensive collection, the library also hosts school visits and special programmes for children! There’s also the Main Hall with a larger collection, e-books, periodicals and audio-visual material. 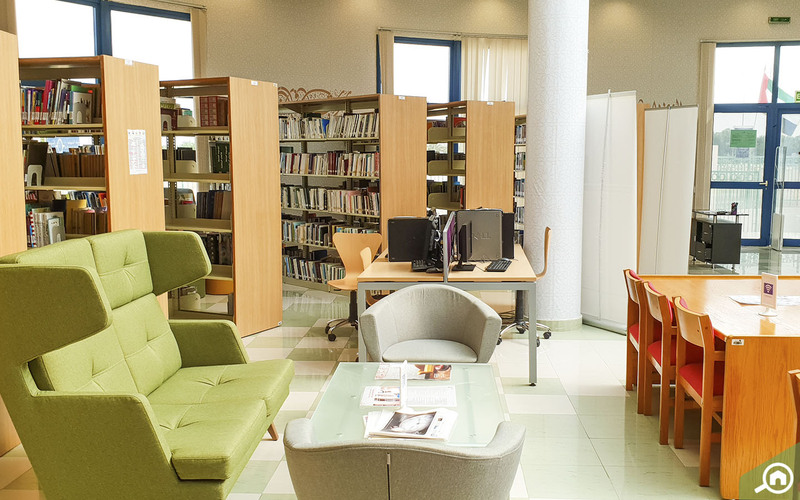 This is one of the public libraries in Abu Dhabi that is ideal for researchers! You’ll find an impressive collection including Arabic and English periodicals, children’s books and a special section of research-oriented books. The latter was established recently as a rich resource for academics in the area, with books on religion and politics amongst others. 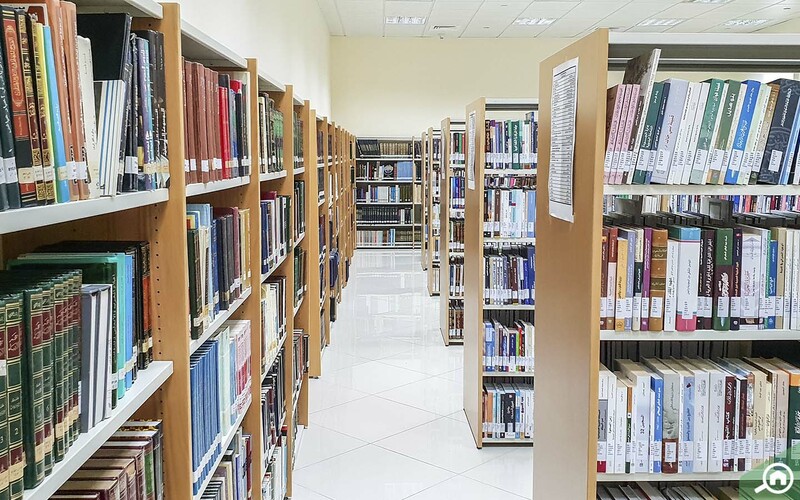 Interestingly, Al Marfa Library was established in collaboration with Abu Dhabi Company for Onshore Petroleum Operations – and has a dedicated collection on the oil and gas industry. But this public library is Abu Dhabi city is great for younger visitors, too. Bring the kids along to the Activity Room, where they can enjoy movies, puppet shows and movies. Ever wanted to pop down to the library after you’re done shopping? Well, now you can in the Mazyad Mall Library. 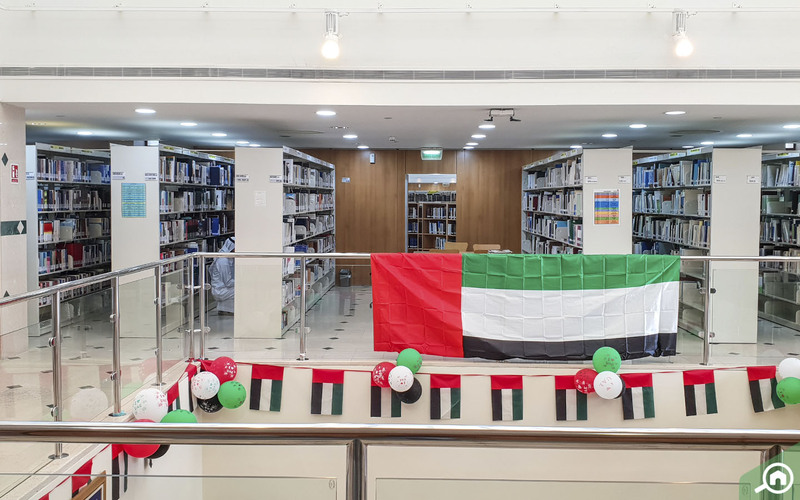 Opened in 2012, this famous public library in Abu Dhabi has only grown with more than 30,000 titles in Arabic and English on various subjects. A dedicated children’s section with 2,000 books was also added recently, so bring the little ones along. But this library offers more than just books for visitors. You’ll also find computers for use, school visits, special programmes and outreach activities. 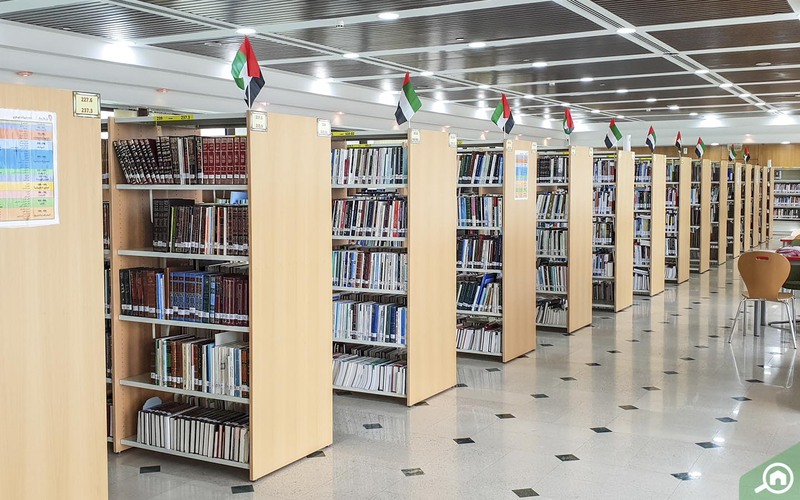 Next on our list of popular public libraries in Abu Dhabi is the Zayed Central Library in Al Ain. Located next to the family-friendly Sulaimi Gardens, you won’t find a shortage of reading materials out here! Their collection of more than 70,000 books caters to children and adults, with journals, periodicals and academic publications. The massive facility also has a theatre, reading rooms and a bookstore, too! Keep an eye out for the book signing events and art exhibitions that regularly take place here. 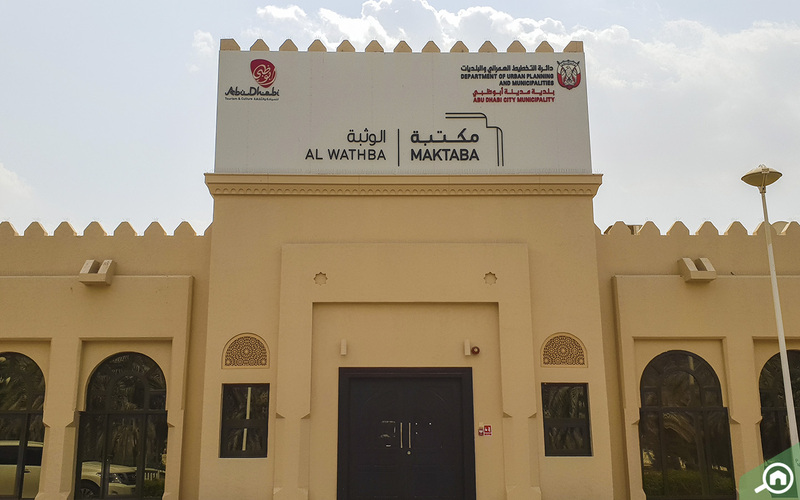 Set in the charming Al Wathba Park, this public library houses an extensive collection of 35,000 titles on an array of subjects in Arabic and English. Bright and airy, the lovely library comes with reading corners, internet and a colourful children’s area that has plenty of fun reading material! Adults are required to pay AED 400 as a deposit, refundable when cancelling the membership. Kids are not required to pay a deposit. Head to the extraordinary Sheikh Zayed Grand Mosque in Abu Dhabi, and you’ll find a library tucked away on the third floor in the northern minaret. An excellent resource for academics, this library is home to rare manuscripts of the Holy Quran along with journals, studies and books on Islamic culture, art and history. Take the chance to tour the hallowed halls of this magnificent mosque, because it’s one of the best free attractions in Abu Dhabi! Operated by the French Alliance Association, this multimedia library houses 12,000 books, audio-visual material and French periodicals. 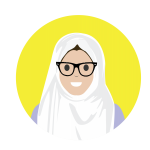 The library's aim is to make the French language and culture more accessible, while respecting local cultures at the same time. This library is open to all, but borrowing books requires a membership fee to be paid. And that brings an end to Bayut’s list of public libraries in Abu Dhabi. Tell us, which of these libraries do you plan to visit? 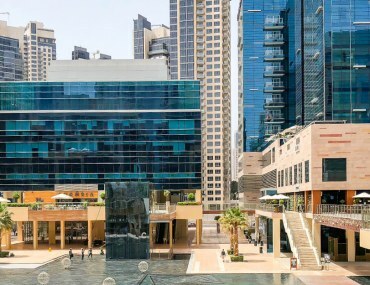 If you live in Dubai, you can also take a look at Bayut's guide to public libraries and bookstores in the city! 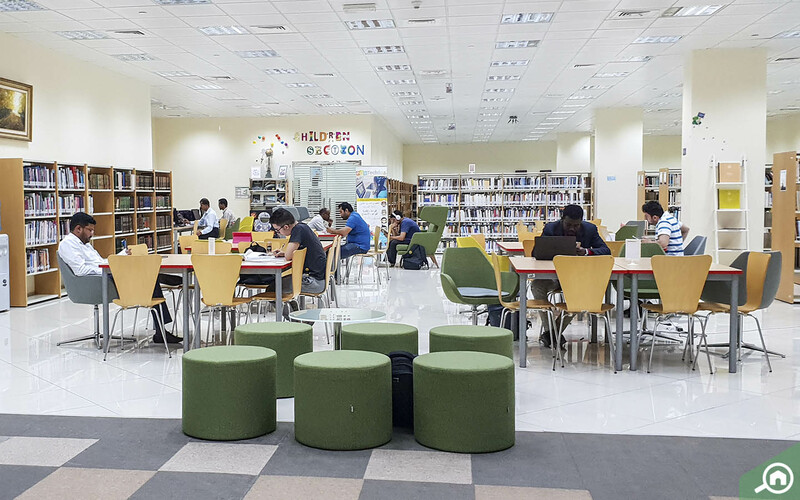 There are a ton of resources for bookworms in Dubai. Looking for some more culture? Here are 8 exhibits in Louvre Abu Dhabi that are perfect for your Instagram feed. And stay tuned to MyBayut for more updates on Abu Dhabi's best attractions!